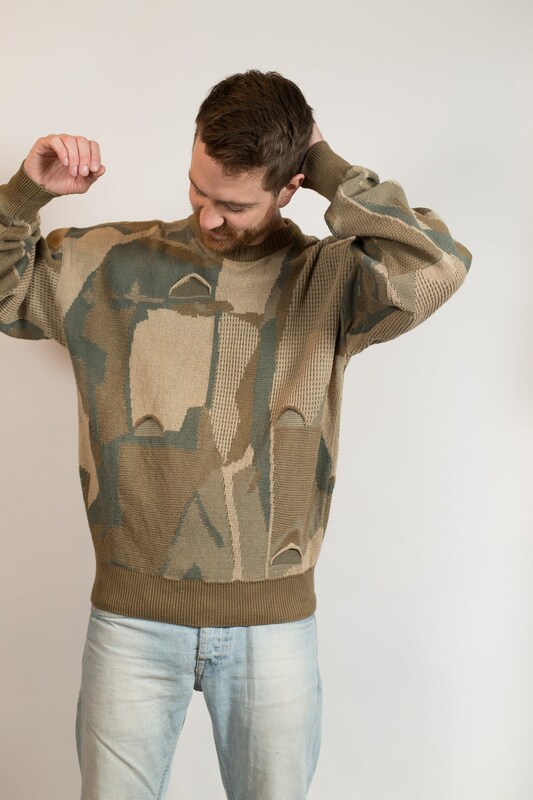 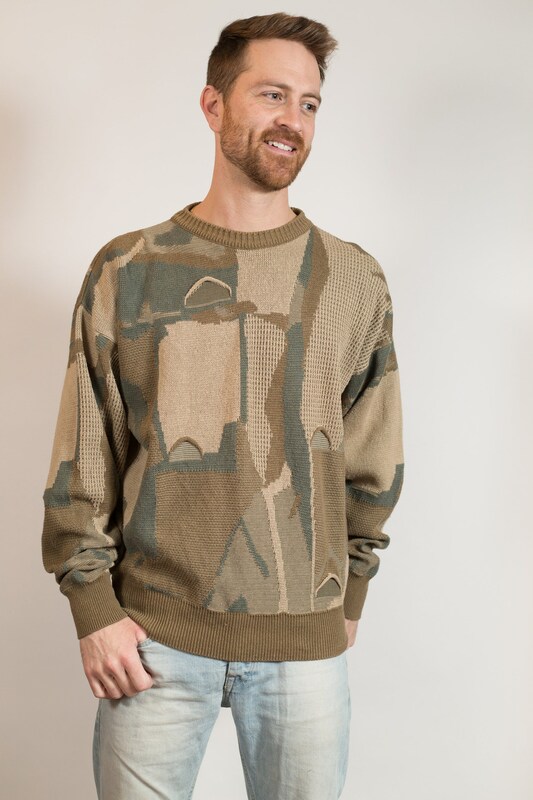 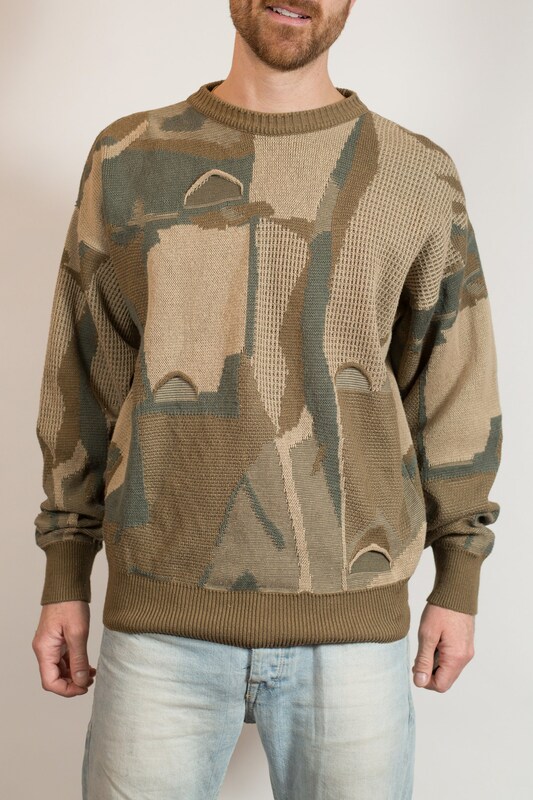 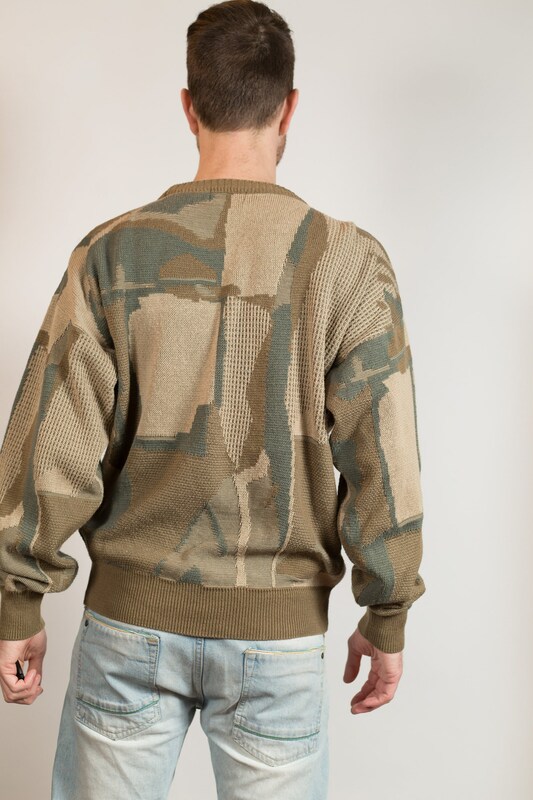 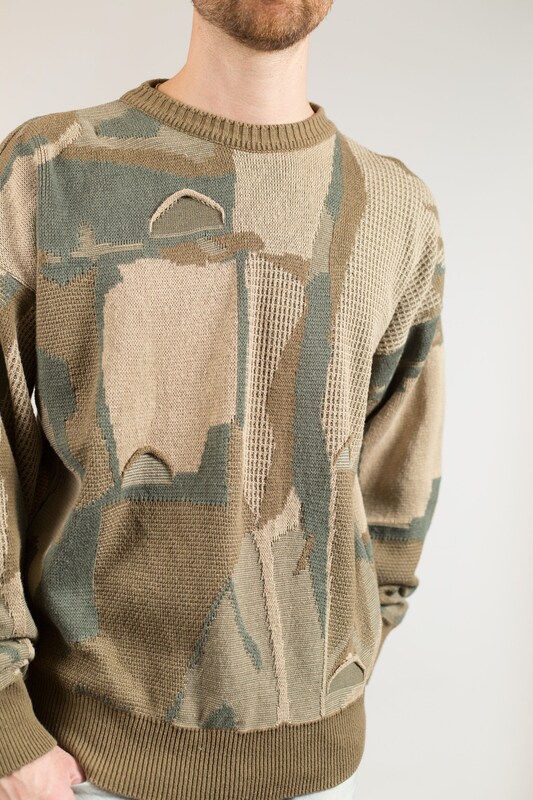 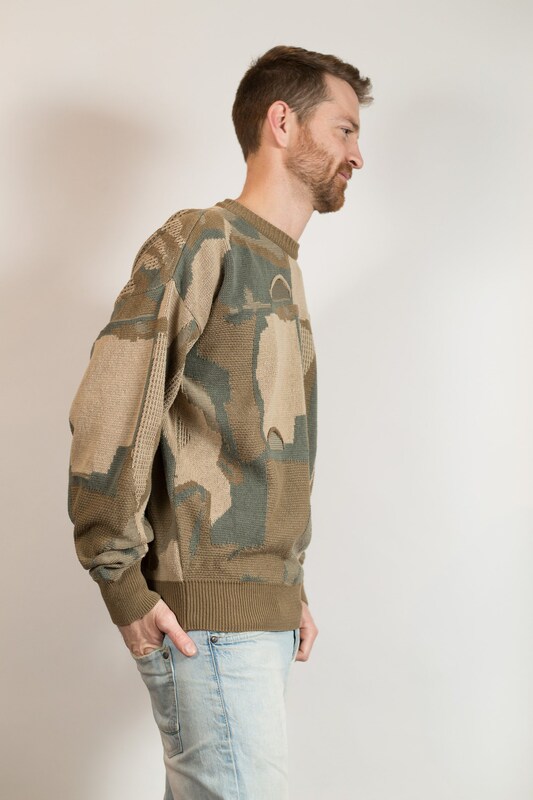 This is a classic vintage men's earth tone sweater with an abstract patter with green, beige and brown tomes. 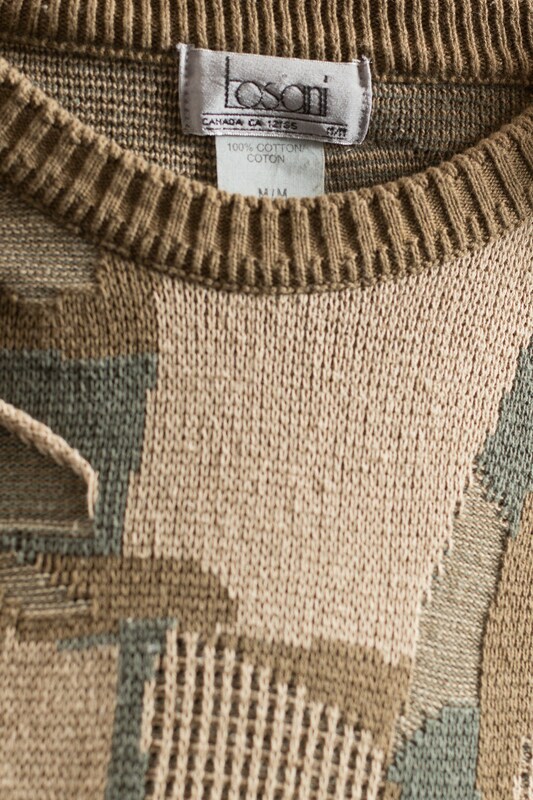 We love the colour palette and raised elements. 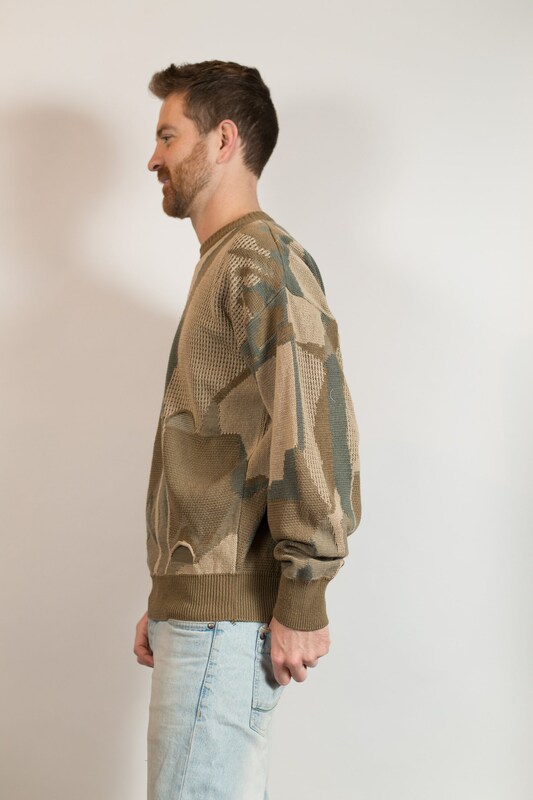 Fits Like: oversized medium (Model wears medium and is 5”11).